Seven thousand fans feverishly queued up and finally poured into the Santa Ana Observatory on Dec. 30 for seven hours of moshing, crooning, and crying. The star-studded lineup was comprised of rising Indie stars and alternative hip hop titans. 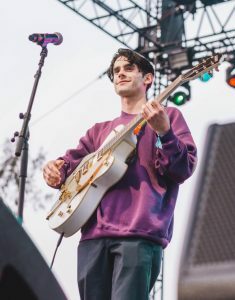 Smaller names such as Bane’s World, Inner Wave, and Clairo began the night and Brockhampton and Tyler, the Creator finished out the small-scale festival. Other artists on the setlist included Michael Seyer, Katzu Oso, Jasper Bones, Steve Lacy, and Taco. Despite the sore feet that the long lasting show brought on, energy remained high throughout the night with each artist bringing something different to the event. The ten acts were divided between the venue’s outside stage and the inside Constellation room. The expansive grounds gave lots of space to mill around and escape the tightly packed crowd to catch a breath. The grounds included a Golf Wang (Tyler, the Creator’s brand) merch table which was completely mobbed and a line of food trucks to keep fans well-fed in between acts. The savior of the night however, had to be the water station where fans could fill up bottles. Coming out of the sweaty crowd, the station served as a mirage welcoming us back into safety. The venue’s overall flow between areas made exploring possible; it was nice to take a moment to just watch concert goers and the event go down. Each act had a different style of music as well as a different way of performing. Sadly, I missed out on Bane’s World as the line to get in wrapped around the block. However, I could still hear his ethereal crooning and dream-pop beats from outside. Tyler, the Creator’s performance was simply sublime, and I was surprised that I did not get crushed by taller guys whose sole intentions were to mosh. Tyler was engaging and his independent attitude came off strong. The crowd reaction was similar to a crowd surrounding a pulpit; with arms raised, they hailed their musical idol. 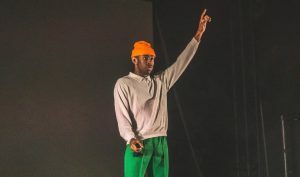 The setlist included several songs off of “Flower Boy,” Tyler’s new album such as “See You Again,” “911/Mr. 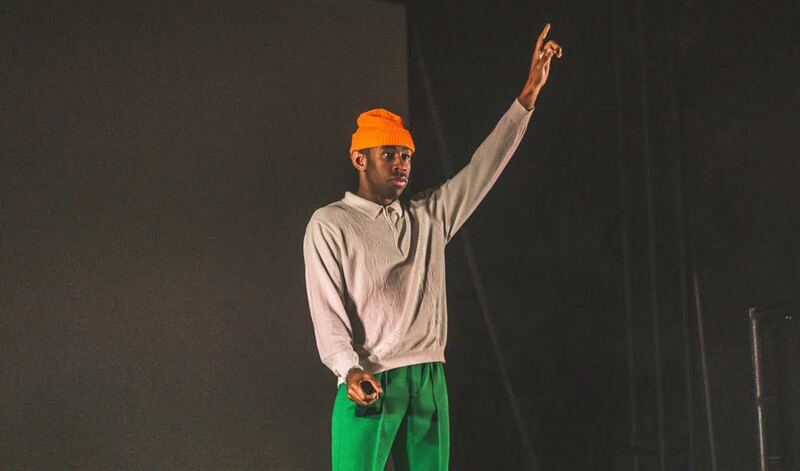 Lonely,” and “Glitter.” But the highlight of his performance was when he dipped back into his wide repertoire of material and played older songs off of his first album “Goblin.” During “She,” vocals of Frank Ocean swept over the crowd as Tyler wailed along to the sound of loss and love. While the main performers were on par as expected, the same can not be said for the smaller artists. 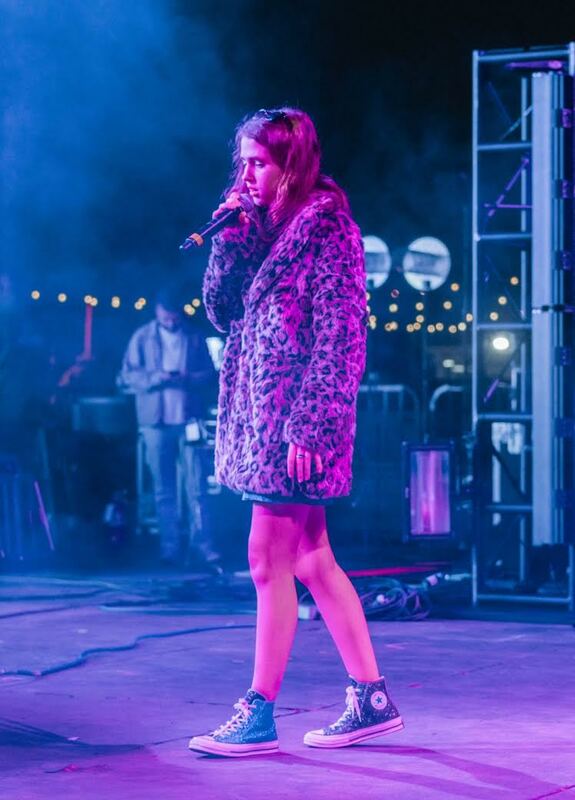 The artist known as Clairo, for instance, was a tad lackluster in her set. Her performance consisted of her singing along to pre-recorded tracks off of her macintosh laptop she brought on stage. Her songs could be adapted to include a live band, or even a drummer with a synth pad to liven her time on stage. However, I believe Clairo will adapt to larger performances and with time grow to be more confident in her artist-crowd interactions. Steve Lacy also did not exceed, or even meet, my expectations. Looking past technical difficulties which were out of his direct control, his performance was too distracted. Instead of focusing on vocal quality, Steve aimed to make his performance high-energy by running across the stage and dancing wildly. A performance can be lively without forgetting the integrity of the music, and I think Steve Lacy is capable of this, and just like Clairo, will grow to fit the main stage very soon. I did still appreciate seeing these two, along with my other favorite artists, in a live setting. 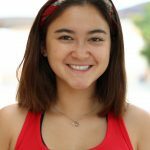 The crowd was diverse in comparison to the normal high-school age group, but not diverse within itself. I saw many old school vans and crewdly cut jeans. It was the epitome of rising youth style, the coming of age rebellion of breaking free from conventional clothing. People-watching was a treat, as each person was unique unto their own. The culmination of Los Angeles youth was reflective of the extensive and diverse lineup that performed. The festival gave space for a collection of youth to gather and form a community around music of the new age.